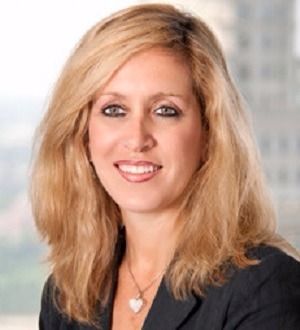 JILL FRIEDMAN HELFMAN is a partner in the Cleveland office of Taft Stettinius & Hollister LLP. She concentrates her practice in the area of family law. Ms. Helfman's experience includes both analysis and litigation of complex business valuation issues, treatment of retirement assets in divorce, tax considerations involved in the payment and receipt of spousal support, and custody issues. She is a frequent presenter at continuing legal education programs. Ms. Helfman received her undergraduate degree from the University of Michigan and her law degree from Case Western Reserve University School of Law. Ms. Helfman is a Fellow of the prestigious American Academy of Matrimonial Lawyers and previously served as Vice President and President of the Ohio Chapter. Ms. Helfman is certified through the Ohio State Bar Association as a Family Law Specialist and has been accepted as a life member of the National Registry of Who's Who. She is certified as an arbitrator through the AAML Matrimonial Arbitration Training Institute. Ms. Helfman has been selected as a Leading Lawyer by Inside Business and as a Super Lawyer by Cincinnati Magazine every year since 2004. She was named as one of Ohio's Top 50 Women Super Lawyers in 2005 through 2009, and one of the Top 25 Women Lawyers in Cleveland in 2010.